Although lighting often announces life-giving rain, it can easily be seen too as a destructive force, linked to hail, fire and crop failure. Ancient stories tell of lightning shattering the mythical ’Food Mountain’ - allowing humans to get at the plants and sacred crops like maize inside. In ancient Mexico where you went in the afterlife was decided by how you died. Here is Tlalocan, a paradise reserved for those who died in floods - or in lightning strikes. Mind you, it was one of the best places to go: May the Force be with You...! Q. Which modern pantomime got its theme from an ancient Mexican rain god? A. ‘CHAC and the Beanstalk’! We are most grateful to Dr. John E. Staller for offering us this fascinating study of the importance of lightning in ancient Mesoamerica. Dr. Staller is an archaeologist specializing in Latin America, with interests in ethnohistory, ancient mythology and religion, political economy, domestication, maize, and the history of archaeological science. He has written and/or edited seven books, including Lightning in the Andes and Mesoamerica: Pre-Columbian, Colonial, and Contemporary Perspectives; Maize Cobs and Cultures: History of Zea mays L.; Pre-Columbian Landscapes of Creation and Origin and Histories of Maize in Mesoamerica: Multidisciplinary Approaches. Lightning has timeless references and symbols among ancient religions throughout the world. The thunderbolt is a conspicuous image among ancient pre-Columbian civilizations with powerful associations to some primary deities. 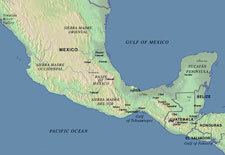 Mesoamerica comprises the lower two thirds of Mexico, Guatemala, Belize, and western Honduras. 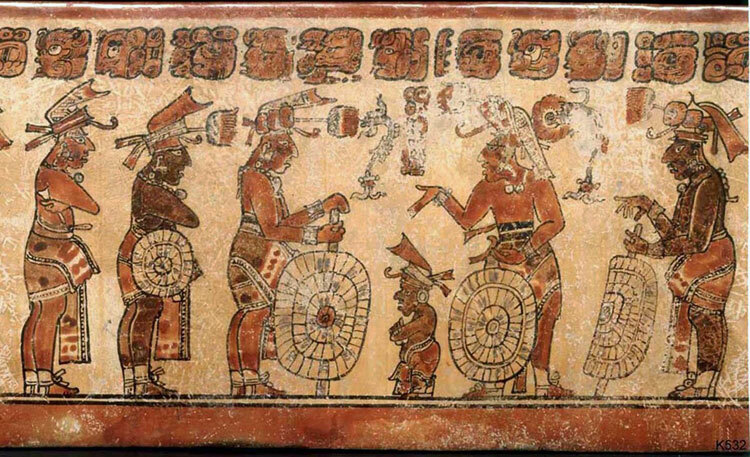 Mesoamerica has long been viewed as a distinctive culture area with diverse yet specific traits and associated with multiple civilizations such as the Aztec, Maya, Olmec, Zapotec, Mixtec, and Totonac. The culture area of Mesoamerica (see Pic 1) is distinguished by the following characteristics; hieroglyphic writing, the 260-day ritual calendar, the three-stone hearth, ball courts with rings, jade celts, nixtamal (maize processing by soaking kernels in slaked lime and grinding them into flour), and maguey cultivation. Linguistically, there are three or four major language families and over seventy languages. Therefore, the contextual variability of meanings and associations in its multitude of languages and multiple language families continue to exist in many separate and in some cases closed corporate indigenous communities. Lightning manifests these linguistic characteristics through a contextual variability of meanings and referents as well as a great diversity of symbolic and ritual associations. Since lightning is closely accompanied by thunder, symbolic reference to twins is common throughout the ancient world. However, in Mesoamerica the dyad of thunder and lightning is so integrally related to and accompanied by rain, the three form a triad of sorts, a triad little recognized in the anthropological literature. Nonetheless, lightning is often presented and described in terms of threes, and it has various triadic properties, particularly among the Maya. 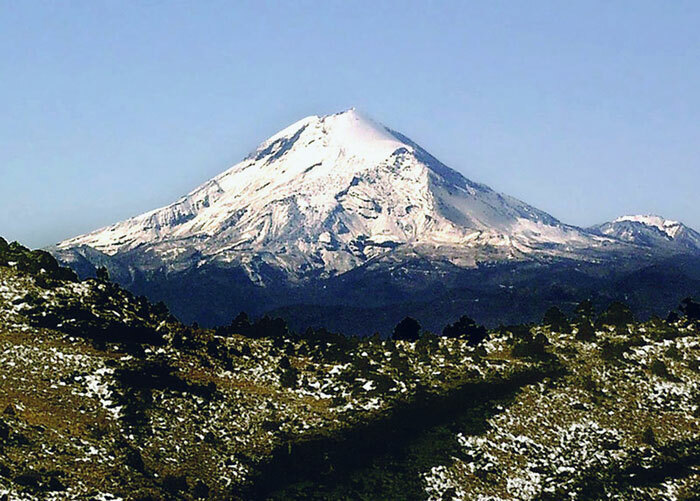 Mesoamerica has several mountain ranges with expansive valleys, high volcanic peaks, such as Pico de Orizaba (Citlaltepetl) (pic 3), which reaches 5636 masl (18,491 ft), and where lightning frequently appears in clouds surrounding its summit. However, over half of the topography consists of tropical and subtropical rainforest below 1,000 masl. Average annual precipitation overall is about 255 mm. a year, with some locales reporting over 1800 mm. Highest precipitation occurs along on both coasts flanking either end of the Isthmus of Tehuantepec, particularly the Gulf Coast, Veracruz and Tabasco, the Peten region of Guatemala, and Belize. The rainy season occurs from May to October while the dry season is between November and April. Lightning and its various symbolic and anthropomorphic manifestations were of importance to agriculturally based civilizations, because agriculture depends upon seasonal rainfall and lightning is a harbinger of coming rains (pic 4). Lightning is commonly associated with meteorological phenomena such rain, rainbows, bodies of water, and also destructive elements such as hail, fire and resultant crop failure and destruction of the natural environment, thus it is generally perceived as a malevolent force of nature. This is apparent in various Mesoamerican myths, and narratives concerning lightning splitting open “Sustenance Mountain” (pic 5), so humans could get at plants and consume the maize within, are widespread. The inter-relatedness of the cultural and natural environment is a primary characteristic of Pre-Columbian religions and cosmology. Thunder, lightning, and rain are generally associated with one another and with what is often referred to as the lightning deity in Mesoamerica. Usually a rain deity synonymous with and/or associated with a lightning deity, earth lord, and rain deity are more or less interchangeable. Lightning is commonly perceived as the rain or thunder god that typically lives in a cave or on a mountain summit, and literally named the “Earth Lord,” “Thunderbolt”, “Mountain Lord” and similar epithets in various languages (pic 6). These terms generally refer to an anthropomorphic deity that may or may not have zoomorphic characteristics which has the power to use and control lightning. The association of the phenomenon of lightning with such deities, along with their spirits, co-essences and/or animal familiars is characterized by various linguistic groups, and variably perceived over time and place. Because lightning is such a powerful force of nature, there are widespread associations with rulership and with riches and good fortune. 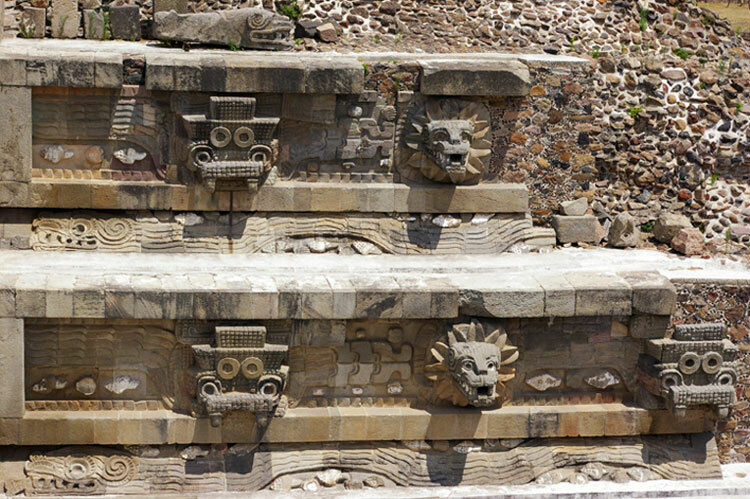 The inhabitants of Teotihuacan depicted the earlier manifestation of Tlaloc with notably large ‘goggle eyes’ in addition to his putative serpent fangs and/or jaguar canines (pic 7) suggesting an owl or other bird of prey may be represented as part of associated imagery. The obvious association between lightning and rain is often generalized to ponds, lakes, springs, and rivers. Other widely held cosmological, ideological and mythological associations involve lightning, rain, and clouds with caves and thus with communication to the Other World (whether the celestial or underworld realms), ecstatic trance, ecstatic flight, shamanism, and kingship. 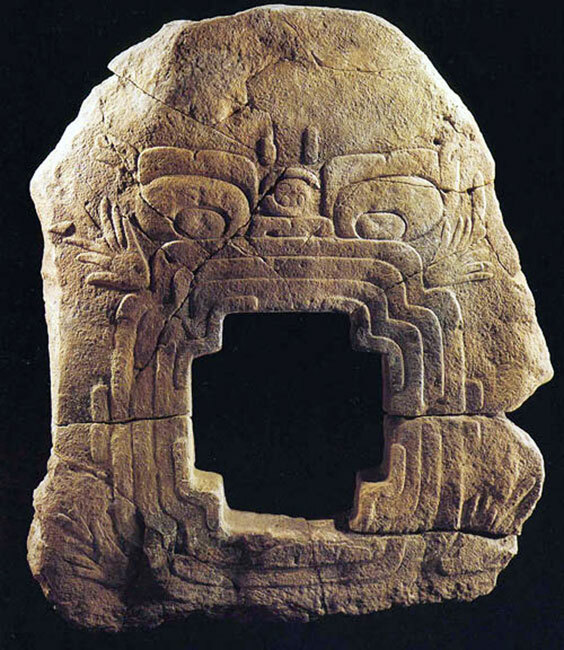 Caves (pic 8) are generally seen as doorways or portals for communication to the Other World and such associations are very ancient extending back to Olmec times. Since rain and lightning deities often reside in caves they partake of both worlds. This world is traversed by spirits of lightning bolts, shamans, deities, ancestors, and sometimes human co-essences (naguals or tonos) said to be lightning. 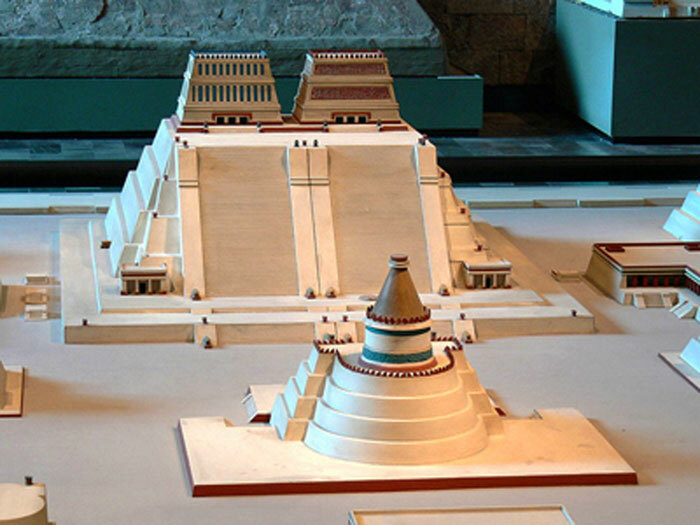 The Templo Mayor in the Aztec capital of Tenochtitlán had two shrines on its summit. 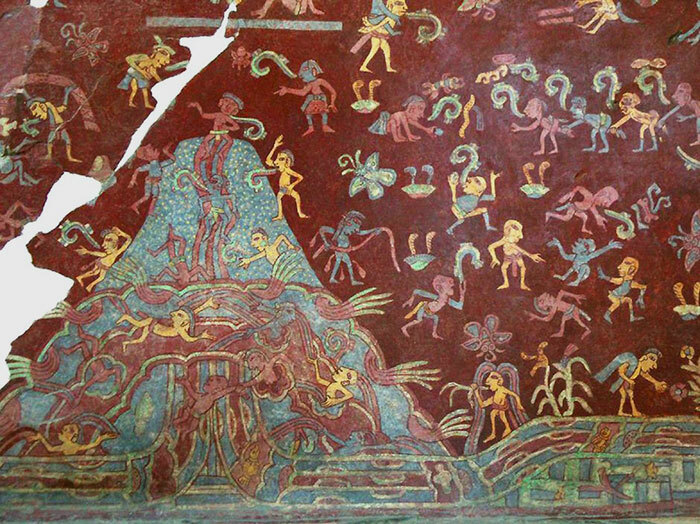 One side, dedicated to Huitzilopochtli was blue, and the other, dedicated to Tlaloc, was red. Tlaloc, the Aztec lightning-rain deity (pic 9), is the most widely known deity of Mesoamerica, often referred to as simply as God of Rain, Thunder, and Lightning who lived in mountain caves and summits, and was the lord of earth and water. 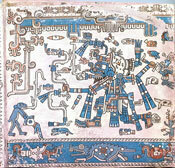 Tlaloc was associated with rain, lightning, thunder, and among the Maya and Toltec also the wind. 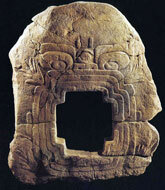 Idols dedicated to Tlaloc and the Maize Goddess were also kept in the Temple of Huitzilopochtli (pic 10). 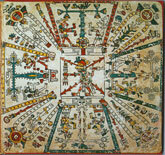 Tenochtitlan represented “the foundation of heaven,” the political, symbolic, and ritual center of the Aztec universe. Lightning was sometimes associated with serpents and indirectly with twins, with four way directional organization (pic 14) and a triadic classification. In several sub-regions, lightning deities are connected to crop fertility, riches, lizards, crocodiles, and occasionally snakes (pic 11); elsewhere to crop fertility, and particularly with the nourishing riches derived from having split open a “Sustenance Mountain” and revealing maize for the benefit of humankind, where a primary association is with serpents at Teotihuacan and later Aztec culture. Mayans perceived this mountain as the birthplace of the Maize God what they called Yax Hal Witznal “the first true mountain place” of creation or Paxil “Split Place”. Zapotecs of Oaxaca associate lightning and the lightning deity with lizards, more often snakes, and crocodiles, which is quite interesting in view of their mating behavior. Crocodiles make booming sounds that resemble thunder during the mating season, which coincidentally occurs at the beginning of the rainy season. Among the Chorti Maya a bird depicted with large goggle-like eyes is also associated with lightning and the lightning-rain deity. 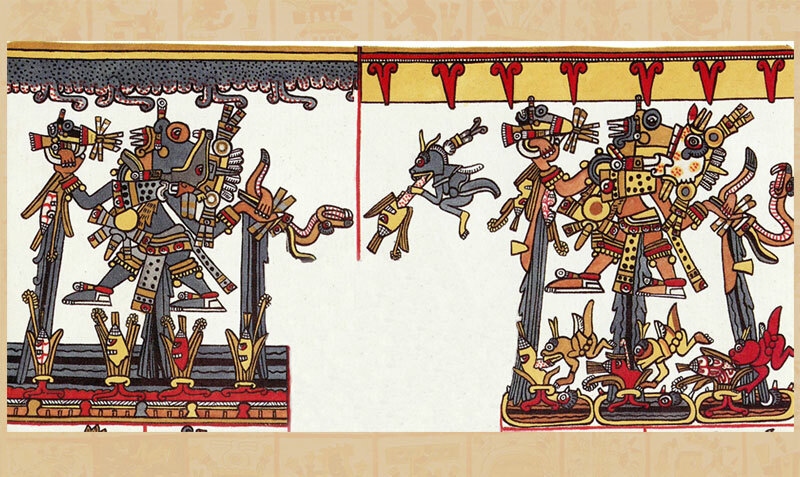 This “storm bird” is equated with the “storm god,” and depicted in the Postclassic iconography in the Madrid Codex where the bird rides a water-laden serpent in association with God B (pic 11). 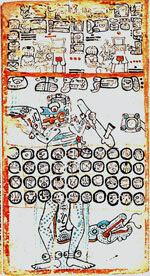 Kekchi Mayan Yaluk, the chief Mam, is an aged thunder deity, literally “Grandfather” that rules the western quadrant. Kekchi Mayan rain, lightning, and thunder deities are known as Mams, but also called Tzultacah ‘Mountain-Valley (Lords)’ that are guardians of mountain peaks, often depicted in iconography as two groups of deities in opposition to one another (pic 12). 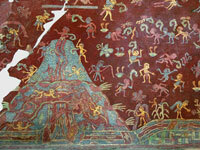 Among the Lacandón, Mayan rain and lightning deities include Menzabak who resides in a cave next to Lake Menzabak dispensing black powder to create rain for Hahana K’u, Lacandón rain messengers dispatched by the creator god Hachacyum who creates lightning bolts by striking the edge of his axe. In Mayan mythology, the creation of humanity is through the splitting open of ‘Sustenance Mountain” by the lightning deities (pic 16). 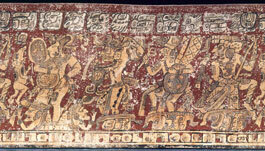 The Yucatec Maya lightning-rain deity is usually written as Chac, Chaak, or Chahk (pic 13). 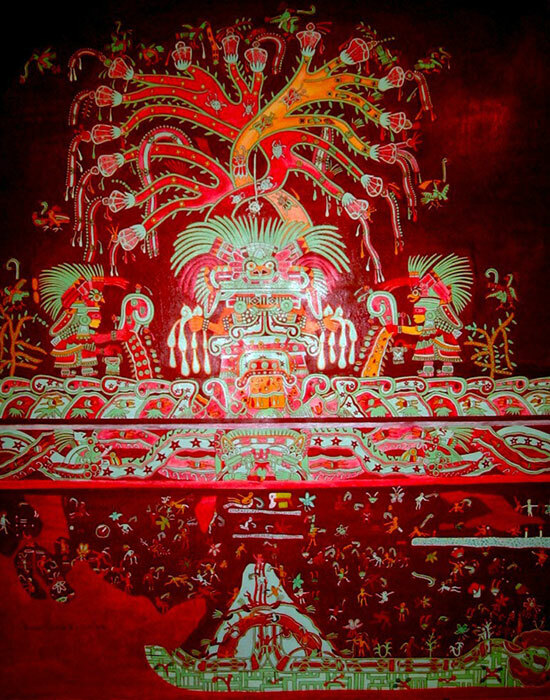 Other Mayan deities include Mopan Huitz-Hok, Chuj Witz Ak’lik, literally “Mountain-Grassland,” Huastec Muxi’ Maam, the chief Maam ‘rain deity (literally “Grandfather”)’ who rules the eastern quadrant. 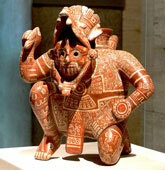 In the Valley of Mexico, Tlaloc is usually depicted with “goggled” eyes and large teeth resembling jaguar canines or serpent fangs that initially appear on pottery and painted murals at Teotihuacan and subsequently in iconography at Postclassic Aztec sites, in Oaxaca and the Maya regions. The ‘place of Tlaloc,’ was the summit of Tlalocan Mountain, which also had a temple on its summit, the central idol dedicated to Tlaloc, and smaller idols to surrounding hills and mountains. Among the Aztec, Tlaloc resided in the Tlalocan mountain caves perceived as “miraculous treasure houses filled with wealth and prosperity” (pic 19). Among the Mixtec, ‘Thunder’ or Mixe’Ene·, is a mountain that protects the personal guardian spirits that live within the mountains (pic 15). The Mixe ’Ene·, ‘Thunder’, whose calendrical epithet is Tum Hukpi· (One Root), is vigilant in protecting maize and also villages. “Each village has its own ’Ene· to protect it, and when the ’Ene· of another village comes to do harm, he is fought off by the local ’Ene·”. Many scholars maintain Mixe speakers are descendants of the Olmec, however the name of the Olmec lightning deity is unknown. Mixe descendants of the Olmecs continue to retain traditional beliefs that a large serpent within the cave is a bridge to the abode of ‘Ene· (Thunder), the lightning-rain deity. More explicitly, “jaguar and poisonous snakes are offspring and potencies of lightning”, and “Each year ’Ene· sends out his ‘cowboy’ mounted on a jaguar, to destroy the maize fields of those who have not given him offerings”. 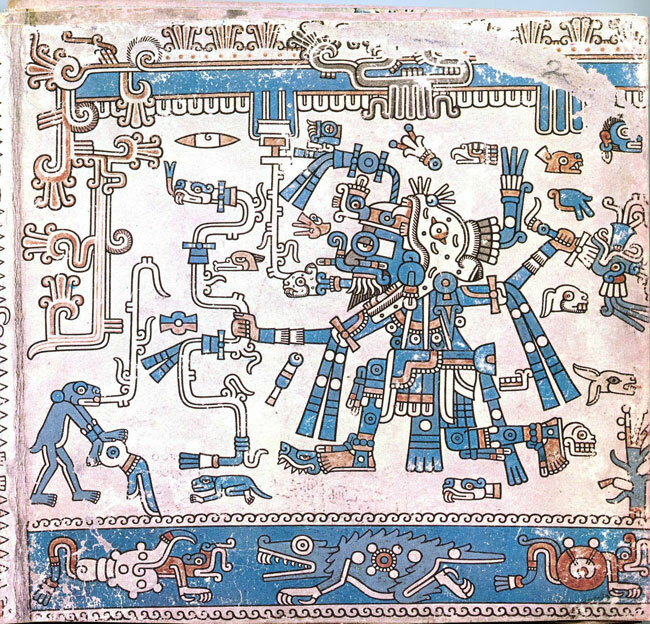 The Kekchi Mayans of Guatemala perceive “snakes as the servants of the Tzultacah who send them to punish man for evil-doing”. Some indigenous communities forbid killing snakes for fear of angering their masters. Snakes are seen as servants of the rain-lightning deity or Earth Lord, and caves the underground abode of the Tzultacah, their hammocks made of rattlesnake hides. 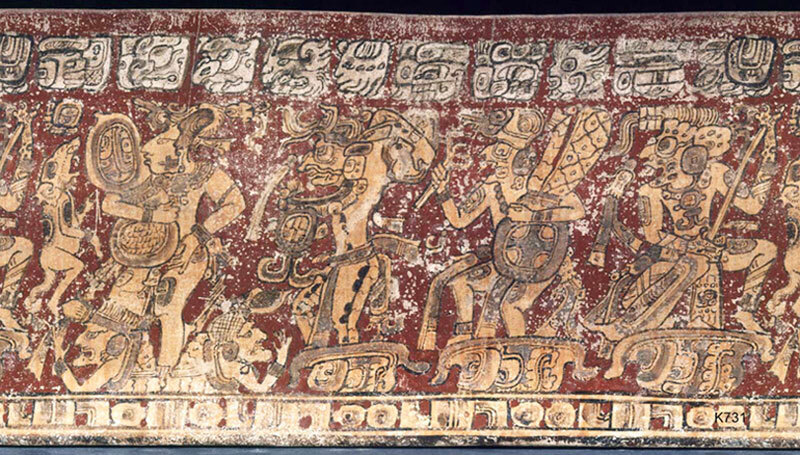 Classic period lowland Maya and later Aztec iconography indicate snakes were servants of the rain-lightning deities. Both Tlaloc and Chac are sometimes depicted holding snakes, which represent lightning bolts hurled from the mountains where rain gods make their retreat. 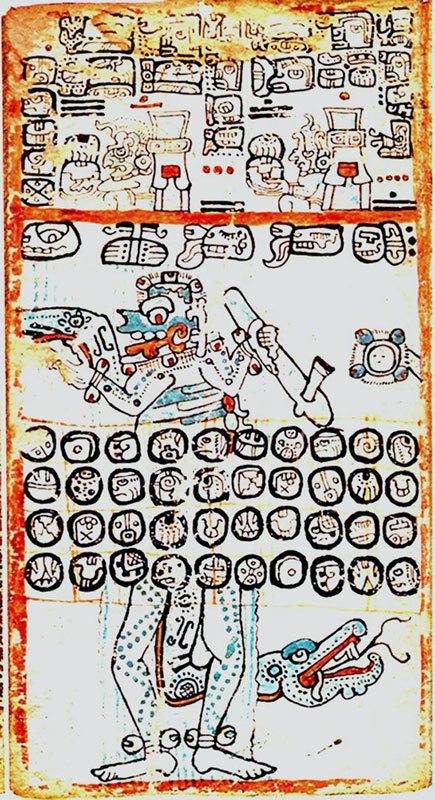 In the Popol Vuh, the Quiché Mayans “storm god” is substituted for the bird, wak vac or wok huoc bird identified as the laughing falcon or wok, as forest falcon, associated to wok the muwaan bird (or muan bird) of Classic Maya texts. The laughing falcon (wak) eats snakes, and perceived by some Mayan communities as a harbinger of coming rains and a healer. Mushrooms have associations to lightning in legend and folklore because they often appear literally overnight after a lightning storm. In some cases, lightning is perceived as creating mushrooms. Mushrooms are “holy children” that appear in rituals involving the consumption the hallucinogenic “mushrooms of the earth” (Psilocybe mexicana Kumm) called ‘ene· di:z or ‘Thunder’s teeth’ among indigenous communities in Oaxaca. The rain-lightning god and his dwarf servants may explain the symbolic association of mushrooms to “holy children” often depicted as dwarfs (pic 17). 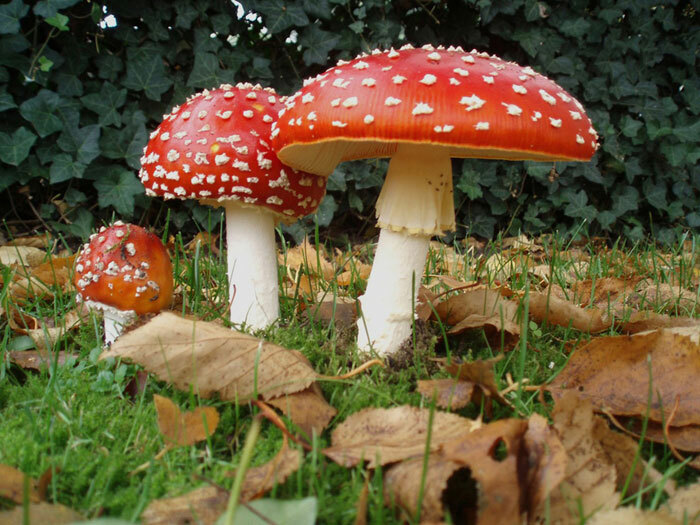 Significantly, another psychoactive mushroom, the Amanita muscaria or ‘fly agaric’ (pic 18), is called ‘thunderbolt mushroom’ by Quiché Mayans. Lightning’s symbolic associations among Mesoamerican cultures reveals a complex of related ideas culturally defined and distinct to varying degrees over time and space. These associations are largely derived through observation of the natural world, and were integrated in different communities in quite specific ways to create relatively coherent and largely consistent worldviews in which lightning always plays important roles. Widespread iconographic representations and symbolic associations to lightning that distinguish the culture area include anthropomorphic representations of its deities. Mountain summits, caves and bodies of water have both literal and symbolic associations. 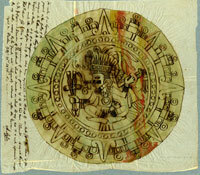 Zoomorphic or animal familiars or co-essences, particularly snakes, jaguars, and eagles, have widespread associations. These species have cultural references to transformation, important animal familiars, particularly with respect to the coming rains and war. Lightning is a nagual for some individuals, shamans and rulers, including those engaged in war. Snakes, jaguars, and eagles are all primary predators in each of their own spheres of influence, water (or underworld), earth, and sky respectively. Lightning deities in Mesoamerica are sometimes represented as reptilian and in terms of spiritual relationships to animal familiars and metaphorical relationships to divinity and rulers. Psychotropic mushrooms often include the words ‘thunder’ and ‘lightning’ in their names and are associated with holy children, perhaps dwarf co-essences that are said to appear when carrying out rituals in altered states of consciousness. Lightning deities are also associated with caves, riches, rain (agricultural fertility), and water. Although rain deities are always male, some helpers can be female, others dwarfs. In Oaxaca and Guerrero, iconographic associations with deities emphasize felines, particularly jaguars and rain. 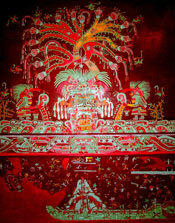 Contemporary shamans often invoke the coming rains by accessing the jaguar or lord of the underworld. 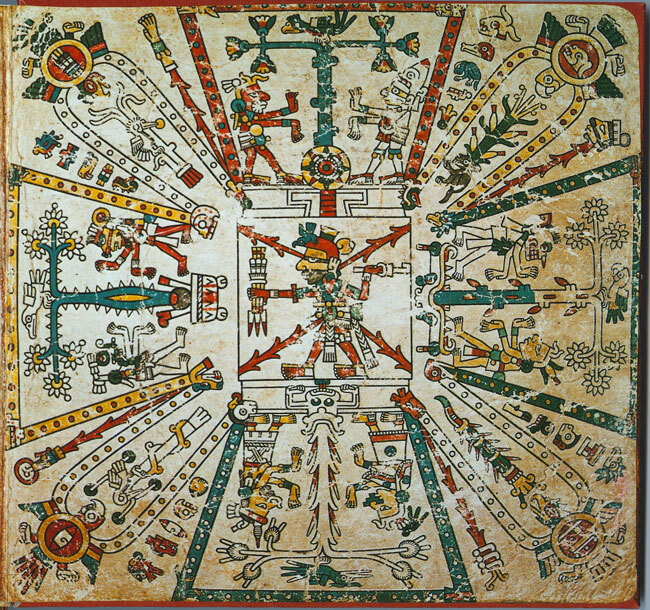 Whether as an agent of the lightning deity or harnessed to irrigation networks or raised fields, lightning and rain represent powerful forces operating for the benefit or detriment in the lives of individuals and the fortunes of communities and such associations and beliefs are ancient in Mesoamerica. Brown, Cecil. 2011. 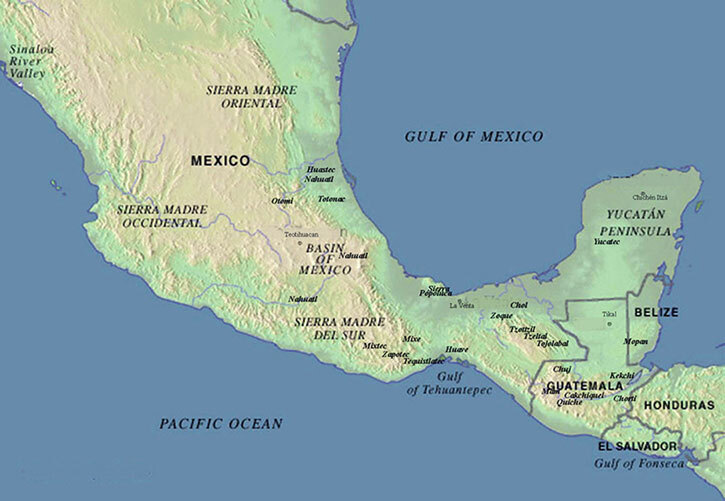 The Role of Nahual in the Formation of Mesoamerica as a Linguistic Area. Language Dynamics and Change 1: 171-204. Campbell, Lyle, Terrence Kaufman and Thomas Smith-Stark. 1986. Meso-America as a Linguistic Area. Language 62: 530-570. Christenson, Allen. 2007. Popol Vuh: The Sacred Book of the Maya: The Great Classic of Central American Spirituality, Translated from the Original Maya Text. Norman: University of Oklahoma Press. Freidel, David, Linda Schele and Joy Parker 1993. Maya Cosmos. New York: William Morrow. Joyce, Arthur A. 2009. 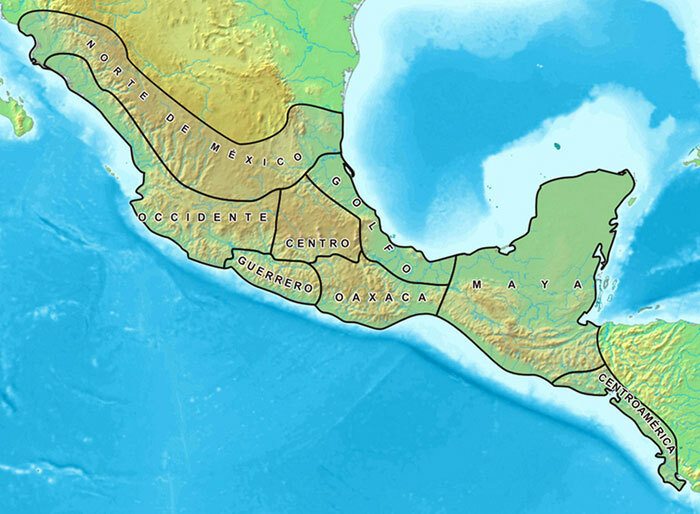 Mixtecs, Zapotecs, and Chatinos: Ancient Peoples of Southern Mexico. New York: Wiley-Blackwell. Kirchhoff, Paul 1968. Mesoamerica: Its Geographic Limits, Ethnic Composition and Cultural Characteristics. In Heritage of Conquest, edited by Sol Tax., pp. 17-30. New York: Cooper Square Publishers. Lipp, Frank 1991. The Mixe of Oaxaca. Austin: University of Texas Press. Miller, Mary Ellen and Karl A. Taube. 1993. The Gods and Symbols of Ancient Mexico and the Maya: an Illustrated Dictionary of Mesoamerican Religion. New York: Thames and Hudson. Staller, John E. and Brian Stross 2013. 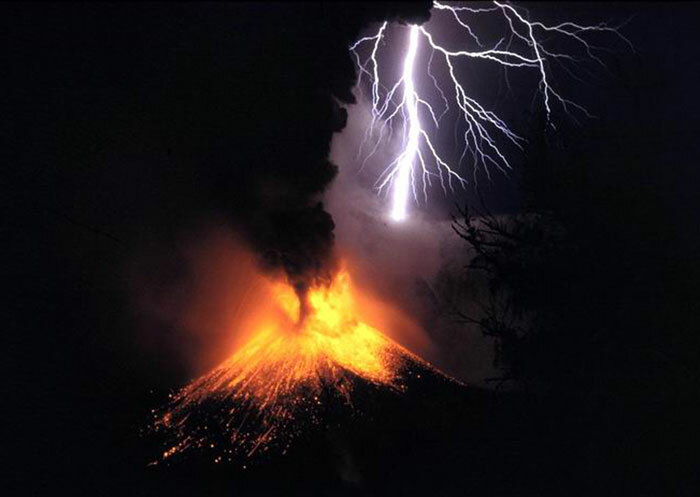 Lightning in the Andes and Mesoamerica: Pre-Columbian, Colonial, and Contemporary Perspectives. New York and Oxford: Oxford University Press. Taube, Karl 1996. Lightning Celts and Corn Fetishes: the Formative Olmec and the Development of Maize Symbolism in Mesoamerica and the American Southwest. In Olmec Art and Archaeology in Mesoamerica, edited by John E. Clark and Mary E. Pye., pp. 297-337. Washington, D.C.: New Haven: National Gallery of Art and Yale University Press. Tedlock, Dennis 1996. Popol Vuh. New York: Simon and Schuster. Diaz del Castillo, Bernal 1981. The Conquest of New Spain. 13th edition. New York: Penguin Books. Duran, Fray Diego 1971. Book of the Gods and Rites and the Ancient Calendar. Translation and notes by F. Horcasitas and D. Heyden. Norman: University of Oklahoma Press. The Quiche Maya of the Guatemala Highlands describe the Amanita muscaria mushroom as supernatural and call it lightening mushroom or in Quiche Mayan cakulja ikox, ikox meaning underworld mushroom, and relate this supernatural mushroom with the Lord of Lightening, Rajaw Cakulja (Furst, 1976 p.82).